Cut My Branches, Burn My Leaves, But You Will Never Touch My Roots. It is not uncommon to hear certain pundits sound off about how Armenians are too ‘hung up’ on the Genocide. It is said that 1915 has become the sole ‘obsession’ of Armenians, especially in the Diaspora. Whether discussing genocide resolutions or the recent Turkey-Armenia Protocols, Armenians are told they need to “move beyond” the Genocide issue and put more emphasis on things like culture or helping the homeland. Sadly, at times, it is fellow Armenians pontificating these notions. The underlying assumption here is that commemorating and working on attaining justice for the Genocide somehow takes away from other aspects of Armenian identity; we are supposed to believe that we must focus less on the Genocide in order to highlight other aspects of our history and culture. But the two are not mutually exclusive. In fact, strengthening and advancing our culture is part of the resistance against the Genocidal process itself. After all, the motivation behind the Genocide perpetrated by the Turkish government was to erase all trace of Armenian identity from the face of the earth. Fighting against this means not only bearing witness to these crimes and demanding real justice, but also bolstering and reviving our rich heritage and culture. With over 2/3 of our people dispersed outside of the homeland, we face the constant threat of acculturation and assimilation within our host countries. The loss of our native language, cultural traditions, and eventually our identity as Armenians is a very real challenge we must deal with everyday. We can choose to confront this challenge in one of two ways: hold on to conventional practices and strictly defined notions of Armenian identity or carve a new path which embraces modern influences and seeks to reinvigorate our traditions in the context of the 21st century. Our history is analogous to the life of an old wise tree. It has been through much: it has seen drought, it has withstood torrential rain, it has been cut with every imaginable ax, it has been burnt and wounded…but its strong, unwavering roots will ensure a new spring, and a new rebirth. Invigorated by our roots, a new generation will grow and develop itself to bear the fruits of our future. Editor’s Note: This article is a preview from the Haytoug 2010 Spring issue, which is set for release in May. There are more than 10 million Armenians scattered throughout the world, including the almost 3 million in the Motherland. Even though we are all Armenian, we are also very different. Of course, this is due to the fact that we have been influenced by those communities in which we have been raised. However, there are several things that make us all the same. For example, wherever we go, we always try to find Armenians and even sometimes we try to claim non-Armenians, Armenian. Several years ago there were rumors in Armenia that renowned American signer Gwen Stephani was Armenian. How? Very simple. Just ad an “an” at the end of her surname and you have a perfect Armenian surname: Stephanian. There are many similar examples, which are sometimes beyond absurd and ridiculous. However, one thing that is proven is that we Armenians have a unique gene-pool and this is, of course, inarguable. During the years of the Armenian genocide, from 1915-1923, while the Ottoman Turks were working systematically according to their “perfect” plan to eliminate all Armenians from the surface of the earth, one and a half million Armenians were brutally massacred. Even though the Turks did not manage to fulfill their mission, one thing is for sure: that many people carrying Armenian genes were killed. This year is the 95th anniversary of the Armenian Genocide. On April 23, thousands of ARF Youth and other young people will take part in the annual torch lit march to the Dzidzernakabert memorial. On April 24 hundreds of thousands of Yerevan residents will pay their tribute to the Genocide victims and lay flowers at the memorial. On April 24, all Armenians throughout the world will become as one and commemorate one of the most unjust and black pages of history. The definition of the term genocide is “the deliberate and systematic destruction, in whole or in part, of an ethnic, racial, religious, or national group.” We don’t have to open a dictionary to find the definition of this word, it is encrypted in blood and it is passed on to our generations through our unique genes. Prior to the events in 1915 we had Armenian communities in India, Iran, America and many other countries; however the numbers of Diasporan Armenians skyrocketed after the Armenian Genocide. Also after the Motherland gained independence in 1991, numerous Armenian families, unable to withstand the harsh living conditions, fled the country. And so, as a result of all this, today we have millions of Armenians dispersed all over the world. Ninety-five years after the Great Armenian Genocide we still feel the consequences of the Young Turks’ actions. Even though I am talking about material loss, I do not mean the loss of our ancestral lands, which today lie behind Turkey’s locked borders. I am talking about the loss of 1.5 million Armenians; a number which would have probably tripled by now, had it not been exterminated. 1.5 million lives were taken, and now we work to bring them justice by fighting for recognition and restitution. Moreover, we have honor the martyrs by being vigilant today to protect and cherish the lives of fellow Armenians. There are several blood related fatal diseases such as leukemia, myeloma and lymphoma and life threatening anemias or immune disorders, the treatment of which requires finding a match. When it comes to finding a match, the choices of people first of all narrows down to immediate family members and if there is no match, the search is spread to other people. Having a unique genetic make up, it is nearly impossible to find suitable matches for Armenians among the existing international registries and we have to rely on each other and there are only 10 million of us. There are many organizations in Armenia, which have a nation preservation mission and the Birthright Armenia charitable organization is one of those. Ever since its establishment in 2004, with the help of the organization, 450 Armenians throughout the world have arrived in the motherland to work on a voluntary basis for a minimum of 2 months and a maximum of a year. Four months into 2010, the organization has already hosted over 10 volunteers and this year a young girl named Olivia Katrandjian is amongst them. Olivia’s mother suffers from non-Hodgkin’s peripheral-cell lymphoma. This is a type of blood cancer. During her stay in Armenia, volunteering for the Civilitas Foundation, Olivia also aims to raise awareness about fatal blood related illnesses, such as that of her mother and help the Armenian Bone Marrow Donor Registry (ABMDR) find more donors for bone marrow or stem cell transplantation to all Armenian and non-Armenian patients worldwide. ABMDR was founded in 1999 as an independent, non-governmental, not-for-profit organization and is a member of the World Marrow Donor Association (WMDA) and Bone Marrow Donor Worldwide (BMDW) sharing its database information with other registries around the world. On April 24, the day we will once again climb the steep slope to Dzidzernakabert, Olivia and the professional staff of ABMDR will be waiting for us all to join their fight, which I view as another type of nation preservation mission. So, on the day we commemorate the memory of our victims, the day we march to Dzidzernakabert, lay flowers, pray for the souls of our ancestor to rest in peace and bow our heads in front of the eternal flame to show the world that we will not forget, that we will not retreat from this historic truth, injustice which needs to be recognized, a day when we lost so many Armenian lives, let us also join the struggle to save those we still can. On April 24 this year no matter where you live remember to stand up, join your local march, open your mouth and shout slogans, open your mouth and speak the one and only truth and as part of the day of commemoration also save those still alive by donating a sample to a WMDA member registry. We have seen too many tragedies, we have lost too many lives, why lose the chance to save the living. Very few people can be said to have had as large an impact on the liberation movement of Artsakh as Arthur Mgrditchyan. He was a model Tashnaktsagan who internalized his ideological oath and served his people with integrity and conviction. Born in the Etilou village of Hatrout on February 16, 1959, Mgrditchyan was a humble activist and sterling intellectual. He received his PhD in history from Yerevan State University in 1980 and went on to be appointed as principle of the Hatrout National Museum. Mgrditchyan later joined the ARF and became a central figure in the defense and organization of his native region of Hatrout. He went on to be elected as the local representative of Hatrout to the newly formed Artsakh National Assembly. Following the official proclamation of the Artsakh Republic, the National Assembly voted overwhelmingly for Mgrditchyan to become the first President of the country on January 8, 1992. During his term as President, Artsakh faced one of the most difficult periods in the liberation struggle. It was blockaded on all sides, prices for basic goods were sky high, Stepanakert was being bombed daily, and the government of Armenia exhibited a neglectful stance toward their struggle. Nevertheless, Mgrditchyan succeeded in unifying the people and leading Artsakh to various military victories. It was also during his term that the world’s attention began to focus more intently on the war for survival being waged by Armenians. On the evening of April 14, 1992—only 97 days into his presidency—Mgrditchyan tragically passed away in Stepanakert. His central role in the formation of the Republic of Artsakh and his unwavering dedication to its victorious struggle made him a national hero for Armenians worldwide. Born in Beirut in 1967, Choulhajian was steeped in ARF community life at a very young age. 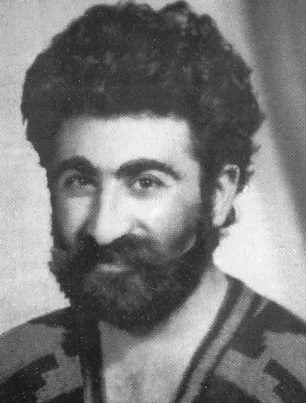 During the Lebanese Civil War, he took part in the self-defense of the Armenian community as a member of the Lebanese Armenian Youth Association (LEM). Serving on executive and leadership positions, he took on various responsibilities and helped create a spirit of unity among all of his fellow ungers. In 1989, Choulhajian earned a Bachelor’s degree in science from the American University in Beirut. His goal was to continue his studies and utilize his talents for the betterment of his homeland. Soon after joining the ARF in 1990, he went to Armenia to further his education at Yerevan State University. However, the struggle of his people in Artsakh kept calling him. As a firm believer in the ideology of Tebi Yergir, he felt that the first step in the process of rebuilding his homeland was the liberation of Artsakh. On August 23, 1993, while surveying the recently recaptured border regions of the Marzili village in Marduni, his vehicle exploded from a land mine. Choulhajian is one of the many Diasporan volunteers that went to fight in Artsakh. He personified the pan-Armenian ideology of the ARF which does not recognize the differences created by geography among Armenians. He reconnected the links between Armenians that had been broken for over 70 years and sacrificed his young life for the just cause of his people. There are some names which, when uttered, conjure up emotions of pride, patriotism and undying heroism. One of those names is Ashod Ghoulyan. Born in Baku in 1959, he soon moved to his native village of Khentsrisdan (Asgerani region). He became involved in the Artsakh struggle from the very beginning, starting in 1987 with the gathering of signatures and petitions. By the time the mass protests started, he was already questioning the effectiveness of demonstrations and contemplating the necessity of armed struggle. 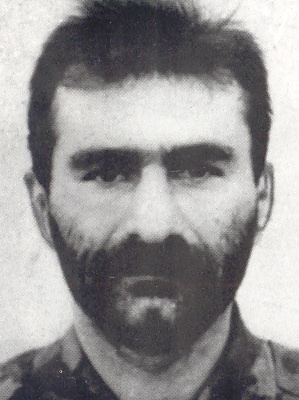 He joined the ARF in 1990 and went on to become a legendary commander who took part in most of Artsakh’s major heroic battles: Askeran, Shahoumian, Lachin, Mardagerd, Grgjan, Arkhavend, and Malibeili to name a few. It was also the first Artsakh battalion, under Pegor’s command, which was the first to enter Shoushi on the morning of May 8, 1992, during the city’s decisive recapturing. Ghoulyan received his nickname “Pegor” (meaning fragment) due to the fact that he was wounded 11 times, with the shrapnel of mines, bullets and rockets lodged within his body. On August 24, 1992, he received his final fatal bullet while fighting to liberate the Trmpon village in Mardagerd. Pegor is remembered as saying, “Patriotism is nothing else than the wholehearted fulfillment of the responsibilities which have been put on our shoulders.” It was with this faith that he took on the many responsibilities of his nation and helped ensure the liberation of Artsakh. He was born in the Gyulistan area of the Shahoumian region in Artsakh on January 2, 1952. Shahen received his primary education in the region and continued his studies at Yerevan State University, where he majored in economics. After graduation, Shahen returned to Gyulistan and became the Chief Economist of Manufacturing and Production in the Shahoumian region and later a food provider for his village. He also became the President of Agricultural and Production Management. 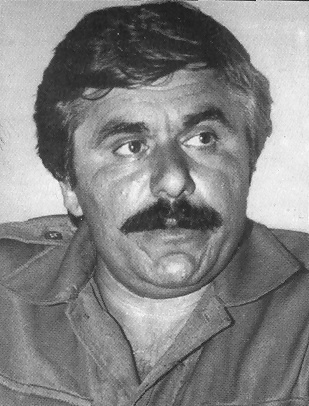 In 1991, Shahen was elected as acting president of the Shahoumian Committee and took on command of the Mardagerd regiment. He was also a proud member of the ARF and attended the organization’s 25th General Assembly. In the early stages of the liberation struggle, Megherian and his band of guerilla fighters would penetrate enemy lines, carrying out irregular warfare in an attempt to liberate Armenian lands from Azeri occupation. Two weeks before his death, Megherian’s home village, Gyulistan, was liberated as a first step towards the liberation of the Shahoumian region. On April 17, 1993, under the fire of Azerbaijani air attacks, Shahen Megherian was killed. Megherian embodied the spirit of the Armenian volunteer organizer, the skilled soldier and fearless leader. 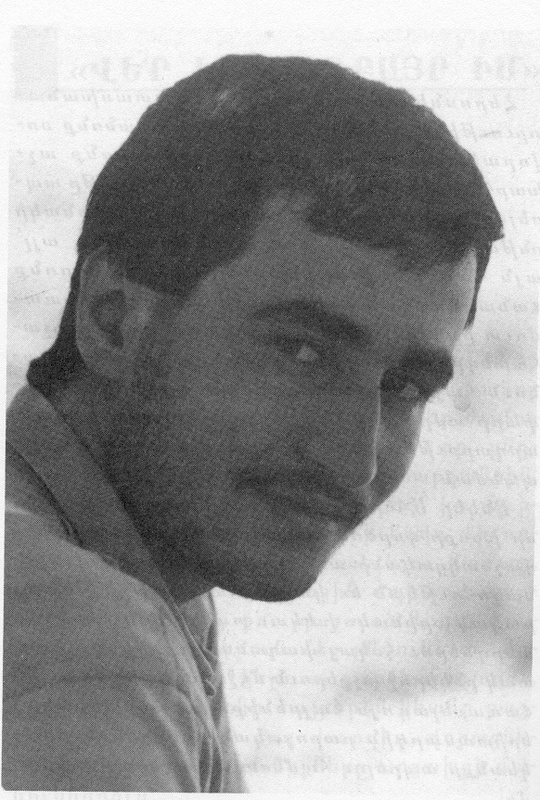 Tatoul Grbeyan was a popular local school teacher in the village of Kedashen who emerged as one of the early heroic martyrs of the Artsakh liberation struggle. With his stated determination to “stay and defend the homeland and its people forever,” Grbeyan served as an inspiration to those around him. He would always be seen with a natural smile on his face—full of hope, faith, and an iron will. By 1988, he was already an active member of the Miastum (Unification) Movement and was fully devoted to seeing his homeland liberated from foreign oppression. In 1990, he joined the ranks of the ARF and took part in the self-defense battles of Kedashen and Martunashen. On April 30, 1991, the Soviet government attempted to extinguish the heart of the Artsakh movement through terror and ethnic cleansing. With the enlistment of the notorious Azeri “black beret” forces, the Soviet army surrounded Grbeyan’s village of Kedashen and subjected the local population to violence and forced evacuation. The men were arrested while the village was bombarded by artillery fire. Although the population was unable to mount an organized resistance, Grbeyan bravely stood against the odds to defend his home against the military onslaught. He was able to alone capture a Soviet armored car with twelve of its Russian officers and commander, but ultimately fell victim to the sinister operation. Grbeyan’s deeds remain one of the bravest episodes in the history of the Artsakh struggle. His sacrifice for his people will continue to serve as an inspiration for countless generations of Armenians. Born on March 15, 1969 in Beirut, Viken Zakarian was the embodiment of the ARF’s celebrated angeghdz zinvor (“sincere soldier”). He worked tirelessly for his community without seeking praise and journeyed to his homeland to take part in its historic struggle for liberation. 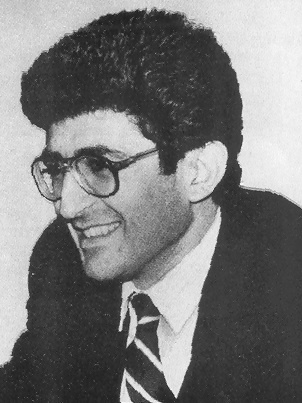 As a youth, Zakarian was a member of the ARF Lebanese Youth Association (LEM), in which he took on countless responsibilities and leadership positions. During the Lebanese Civil War, he helped defend the Armenian community and served on the frontlines during the most critical periods of the war. After graduating from Melankton and Haig Arslanian College in 1988, he attended Haigazian University where he studied business administration. But the cry for freedom in Artsakh was one he could not ignore. On April 17, 1992, he left Lebanon for Armenia and soon crossed over to Artsakh. Upon arrival, he joined forces with the ARF battalion and took part in the important battles that liberated Shoushi. 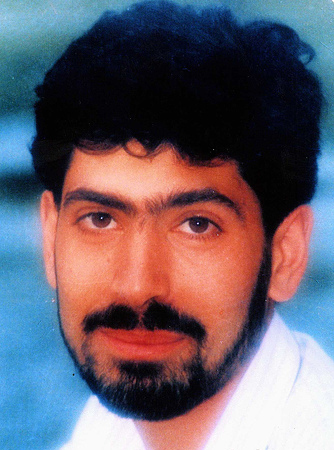 He was martyred on May 8, 1992, while capturing the village of Lisagor. He was only 23 years old. Zakarian represented the true spirit of a committed Armenian youth. He was determined to be everywhere at once; doing anything and everything that was needed to see the dream of a free, independent, and united Armenia turn into reality. He was buried in the Yeraplour Martyrs’ Pantheon in Yerevan. Maintaining your heritage and identity is difficult enough when living outside of your Homeland. But the smaller the concentration of Armenians and cultural institutions in your community, the more pronounced this struggle becomes. 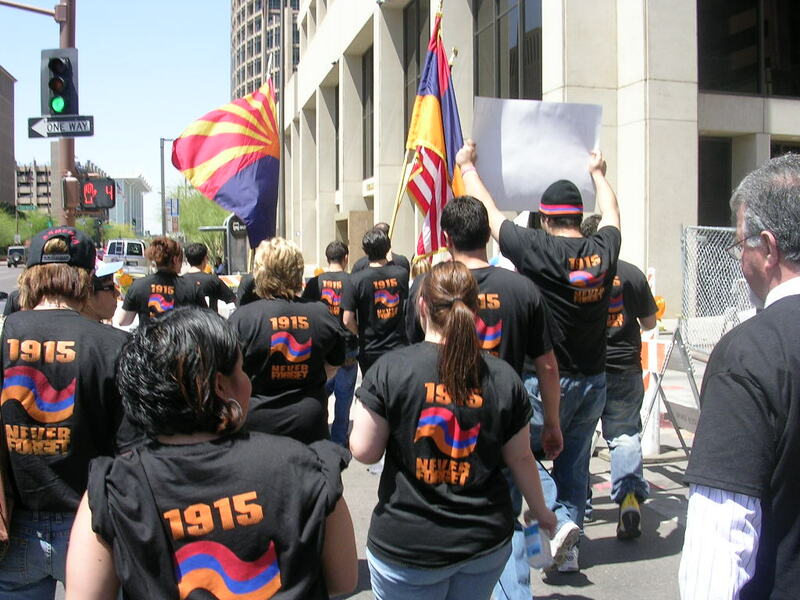 For the Armenian youth of Phoenix, Arizona—one of the fastest-growing Armenian-American communities in the US—the fight to maintain one’s culture and remain active is an especially challenging one. "Kedashen" members at an anniversary celebration of the chapter following an oath ceremony that brought new members to the chapter. It was this spirit of determination and persistence upon which the Phoenix AYF was built from day one. 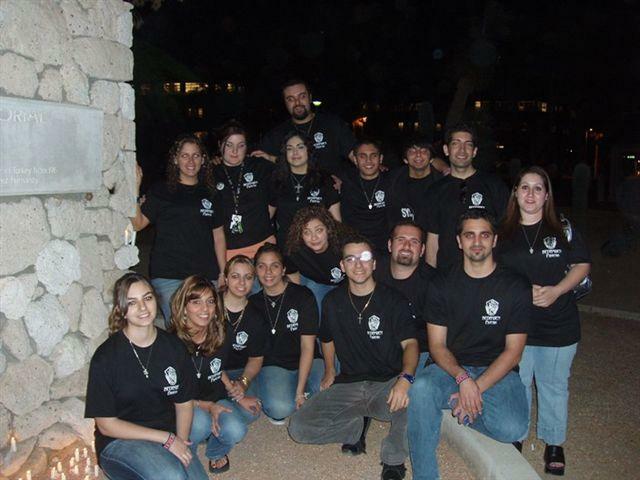 After a year of organizing youth in the community and pursuing the proper organizational procedures, the chapter was officially founded in February of 2006. The founding members decided to name their chapter “Kedashen,” after the region of Artsakh which heroically stood up in 1991 to defend itself against the combined attack of Soviet and Azeri forces. The members related to Kedashen’s brave resistance and its people’s determination to overcome even the most daunting of obstacles. 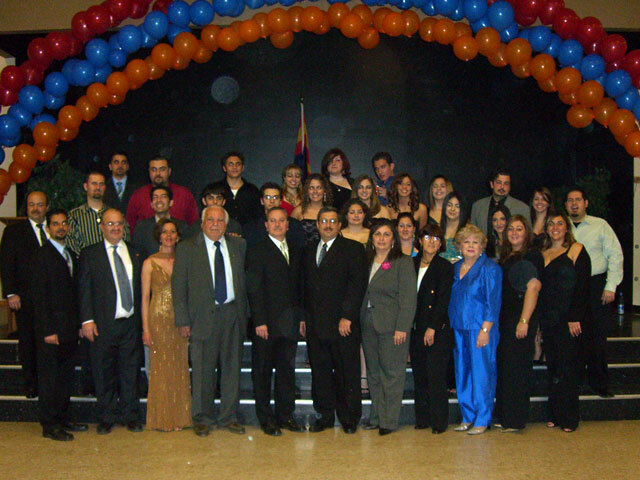 Since its founding, the chapter has organized countless social gatherings, educational activities, political actions, and outreach efforts to young Armenians throughout Arizona. Some of its main activities include an annual April 23rd candlelight vigil at the Wesley Bolin Memorial Plaza, across the street from the Phoenix City Hall, as well as an April 24th protest march in downtown. A St. Patrick’s Day Carnival, game nights for youth at the local community center, and an annual Summer Luau have also become staple events carried out by the chapter. Each fall the migratory cranes embark on a journey to warmer grounds due to annual seasonality, to escape the winter’s bitter arrival. 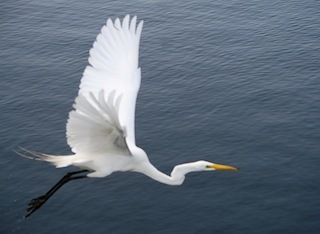 The crane’s migratory behavior is very much similar to that of the Armenians. When we feel the first cruel chill of winter, when times grow to be difficult, we flee. We fly across the Atlantic to a warmer climate, in hopes of leading a more fruitful life. It is only natural to seek something better, yet there is one significant difference between the cranes and the Armenian people…the cranes eventually fly back to their homes in the spring time, and we do not. Most Armenians from the United States who visit return with a laundry list of complaints concerning the poverty displayed on street corners, the lack of modernization in the underdeveloped villages of Nagorno-Karabakh, the lawlessness of the people, the unpaved roads,…etc. All these negative aspects have happened to be almost a nuisance to the visiting Armenian-Americans who have grown accustomed to the comfortable and effortless lifestyle, and find it unbearable to ever live in a country such as Armenia. It pains me to say that the land that had fathered our ancestors has become a foreign land to its faraway youth. Instead of incessantly listing grievances about all the features that Armenia lacks, let us learn to accept those faults as that of our own and develop a way to amend all its inadequacies. It is the duty of the Armenian-American youth to acknowledge their responsibility of rebuilding Armenia and guiding its transformation to a thriving site of culture, history, prosperity, education, beauty, and fiscal stability. It is evident that we know that Armenia has its share of shortcomings, but what we fail to realize is that with that knowledge comes power. We hold the future of our country’s fate in our hands. Armenia’s current state is fairly grave and that is understandable, but we cannot lose faith in the idea that one day, if every Armenian-American fulfills their moral obligation, over time it will undergo a complete metamorphosis. The city of Yerevan, Armenia’s capitol, has greatly altered over the years and in moderation has become somewhat modern and urbanized, but what of the outlying regions of Yerevan? What of Gymuri? What of Lori? What of Artsakh? They are also in desperate need of transformation, so that all of Armenia (every region, every village) will rise to its feet. To some of us Armenian-Americans, Armenia is only defined by Mount Ararat, by the Geghard monastery, by the Ejmiatsin Cathedral, or any other historical landmark. Armenia is so much more than a beautiful painting hanging from a wall. It is a healthcare system that needs repair, an economy that needs guidance, an education system that needs improvement, a government that needs direction, and so much more. We have many brilliant Armenian-American economists, doctors, lawyers, benefactors, and other substantial leaders that can provide aid to every weak element of Armenia that is found necessary. A prosperous Armenia is not an unreachable goal or even a beautiful pipe-dream; we have the power to make it a reality. Let us live according to the words of the talented and legendary Armenian poet Hovhannes Shiraz and ask ourselves the same question that Shiraz addresses to those who are far from their motherland. A year and a half after first proposing to privatize the Glendale Health Center, LA County Supervisor Michael Antonovich announced this week that the move is no longer being considered. The announcement was hailed by staff and patients at the Center, as well as the Armenian Youth Federation which has actively engaged in the campaign to keep the clinic from being turned over to private hands. 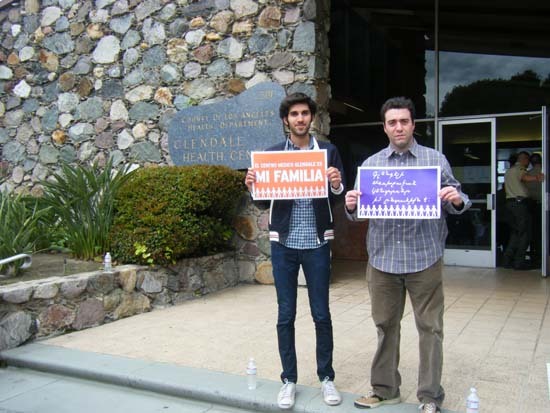 The Glendale Health Center is one of LA Countys most successful primary care clinics, with over 3,500 patients and 11,000 patient visits each year, the majority of whom are uninsured and medically-underserved Armenian elderly. A proposal to privatize the center was introduced in 2008 by the LA County Board of Supervisors, threatening to drive up costs and leave many of these patients without the adequate, affordable care they rely upon. In response to the proposal, the union representing employees at the clinic, SEIU Local 721, launched a campaign against privatization. The AYF soon joined in the effort, along with other community organizations, patients and elected officials. Several forums, delegations to the offices of Supervisor Antonovich, letter writing campaigns, rallies and other actions were organized to prevent the plan from being pushed through behind the back of the community. 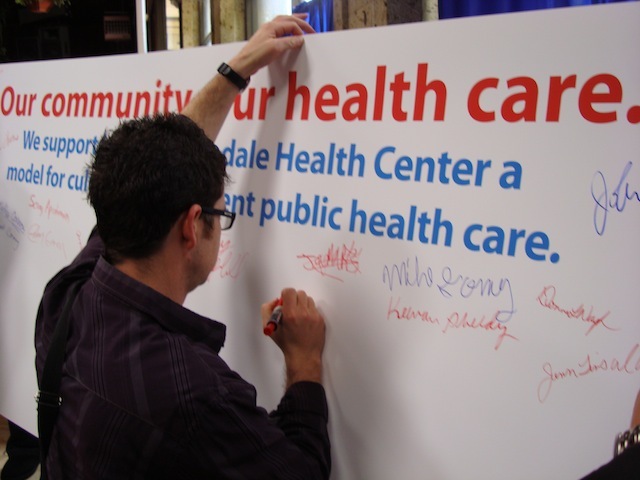 “It just shows that if we’re aware of what’s happening around us then we can prevent things from happening like the privatization of the Glendale Health Center, said Maria Levando, a twenty-year patient at the clinic. A few weeks prior to the announcement that privatization was being taken off of the table, CCHC, one of the private agencies vying for the clinic, suddenly dropped out of the bid. It is believed that the CCHCs unexpected decision to drop out of the process may have affected the Countys decision to reconsider its proposal. 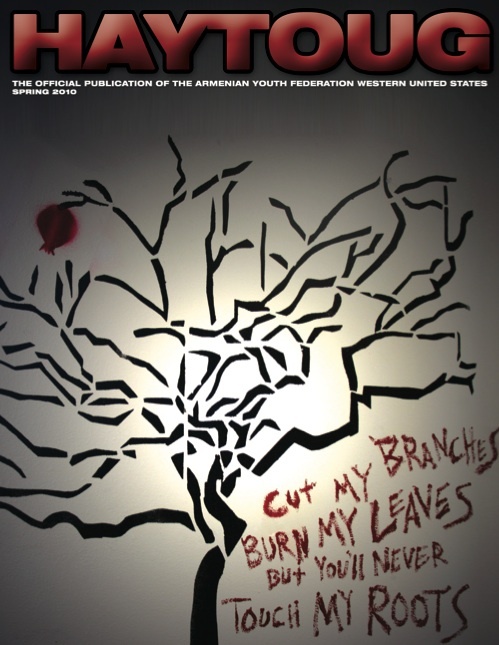 With chapters throughout the United States and affiliated organizations around the world, the Armenian Youth Federation (AYF) has grown to become the largest and most influential Armenian American youth organization. Inspired by the past and motivated by the needs of the future, the AYF actively strives to advance the social, political, educational and cultural awareness of all Armenian youth. 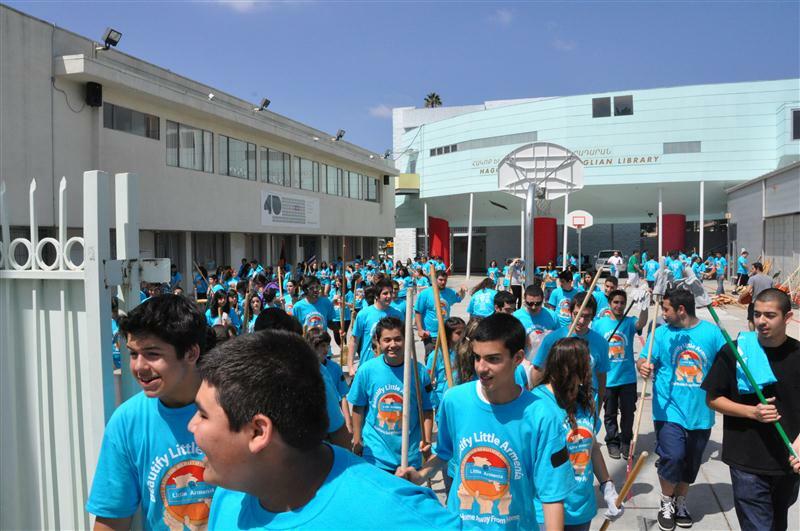 HOLLYWOOD, CAFor the seventh consecutive year running, the Armenian Youth Federation rallied community youth from across California for a massive one-day effort to beautify the streets of Little Armenia. The Little Armenia Beatification Project attracted more than 200 volunteers, who crowded the courtyard of the Rose and Alex Pilibos Highschool on Sunday morning to take part in the project. With rakes, shovels, brooms, bags and other utensils in hand, the young volunteers proceeded to pick up trash, plant new trees, and remove graffiti throughout Los Angeles Little Armenia neighborhood. The event, organized by the AYFs Hollywood Musa Dagh Chapter, was put together in conjunction with Councilmember Eric Garcettis office to help revitalize the streets of this densely populated district of East Los Angeles. The AYF took on the project after the official designation of Littler Armenia in 2000. The effort, like in past years, was managed by a committee of local volunteers from the Musa Dagh chapter, who took on every aspect of planning, organizing and executing the cleanup. After listening to the opening remarks at Pilibos, participants, adorned in bright blue shirts, were split into three groups and began canvassing the entire region making up Little Armenia. Several AYF members took up their pre-designated roles as group leaders and guided their fellow volunteers throughout the various sections of the district. During the cleanup, Baidsar Thomassian, a representative from California State Assembly member Kevin De Leons office, spoke to volunteers, encouraging their efforts and their dedication to the community. Christine Khanjian, A member of the greater Griffith Park Neighborhood Council, also thanked the participants for dedicating time to the betterment of their community. Currently a large number of Armenian families live within Little Armenia and multiple local stores are regulated and owned by Armenians therefore, we want to help them out by keeping the streets clean for visitors, said Hollywood AYF chairperson Maria Maadanian. The days effort, she explained, resulted in the collection of more than 3,200 pounds of trash. More important, however, is that we had the chance to connect with our neighborhood, she added. In years past, the City of Los Angeles Sanitation Department has estimated that more than 23,000 pounds of trash has been removed as a result of AYF volunteer efforts. Aside from its more obvious goal of cleaning up Little Armenia, the project also seeks to unify Armenian youth from local and surrounding neighborhoods around common goals and a shared community.